As seen in "MythBusters: Crimes and Mythdemeanors." Explanation: Going on the hunch that manufacturers' claims on products aren't always lock-tight, MythBusters Jamie Hyneman and Adam Savage tried to dupe a high-tech fingerprint scanner. These security gadgets use optical sensors to read finger- or thumbprint patterns and match them against patterns stored in their computer memories. Jamie and Adam picked a reportedly unbeatable scanner model that detects thumbprints, along with body temperature, pulse rate and skin conductance. 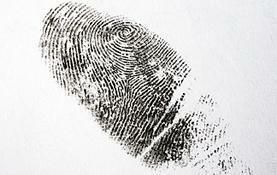 1) A 3-D thumbprint imprinted on a latex strip to be worn over someone else's thumb. 2) A 3-D thumbprint imprinted on ballistics gel, which has the same viscosity and density as human tissue. 3) A photocopy of a scanned image of Grant's thumbprint. Accurately mimicking Grant's master print seemed to be the key to beating this technology. Once they were able to do that — and once they gave each fingerprint format a good lick to simulate human sweat — all three phony thumbs fooled the fingerprint scanner, which secured a resounding busted status for the myth. But don't bother to try at home what you see in the episode ... The MythBusters were sure to leave some crucial steps out of the final show for that reason!